By using the tips I got from this question. I think I almost got it, but the code will not compile when uncommenting the last line. What is the reason for this? Other means create this image would also appreciated, it is always refreshing to see different approaches to a problem. 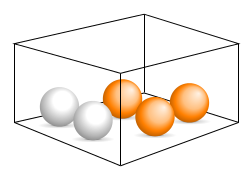 % to make possible use "myball color=..."
draw the balls with a precise order: to not use too much the pgfonlayer enviroment, the simplest thing to do is to first draw the balls behind, proceeding then with the other ones. Not the answer you're looking for? Browse other questions tagged tikz-pgf shading tkz-collection or ask your own question.